Live at the Edge of fashion, the Edge of your seat, the Edge of adventure and the Edge of luxury in the constantly growing modern community. Staying in the heart of the city stand at the cutting Edge of new style and design. Built with the maximum quality of features and finishes. This condos is surrounded by different modern amenities and beyond the Edge of greatness. Edge Towers (Mississauga) is a new condominium develop for mixed-use, now project remain in pre-construction stage by Solmar Development Corp. Edge Towers located at 3528-3536 Hurontario Street and 24-64 Elm Drive West in Mississauga, Ontario. The proposal condos is designed by Cuismano Architect and it consists of three commercial and residential buildings. This three commercial and residential buildings are 35, 40 and 55 storeys respectively in height with a total of 1,085 parking spaces and 1,367 dwelling units. At Mississauga, residence can enjoy the future at today. 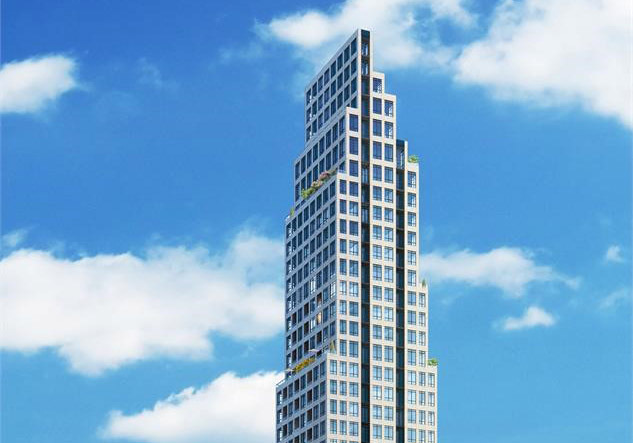 Edge Towers is the place where residences are enjoying the day with full of modern amenities. The Edge Condos Towers Project is bringing the community of friends, family, and neighbours closer, and also with a major shopping mall such as Sheridan College, Square One, Banks and libraries a walk away, public and commercial amenities are all within residences walking distance. Culture, personality and character are all attributes creating a great modern community. Residents of Mississauga can easily find the best nearby public places such as the Celebration Square, Civic Centre, and the Living Arts Centre. When the residence need for travel for their work or pleasure, residents are enjoying transportation facility all around them. They also have the GO, bike paths, Mississauga Transit all are convenient and readily available all-time. The residences of Edge Towers Condo have been enjoying major place within walking distance. Perfect getting in, commuters & out of Mississauga will be simple! Living at this Edge Towers Condos, Mississauga residences can enjoy the close proximity to the top shopping destination as like Square One Shopping Centre and the numerous plazas surrounding the Edge Towers. The Mississauga thrives from all diversity of cultures. There is Italian at Alioli, Vietnamese food at Pho Mi 99, and also the superb steakhouse of Canyon Creek Restaurant. This Edge Towers is a great place for families as there are awesome venues nearby Playdium, Sky Zone Trampoline Park, and the Cineplex Cinemas. A short 10 minute drive away to the University of Toronto Mississauga campus. There are a lots of schools for all ages from Nursery Schools to College. It takes 2 minute walk away to Downtown Mississauga and 4 minute drive to Square One Shopping Centre from Edge Towers. Unit size: From 582 Sq. Ft. up To 880 Sq. Ft.